If home is where your heart is, the kitchen is where you feed your soul. It’s where the day begins with a cup of coffee and often ends with a late-night snack. Where kids tug on an apron, asking is it done yet? It’s the home’s main source of serenity, comfort and joy, whether it’s a holiday gathering or not. Where family and friends gather to eat, talk and laugh… and then eat some more. 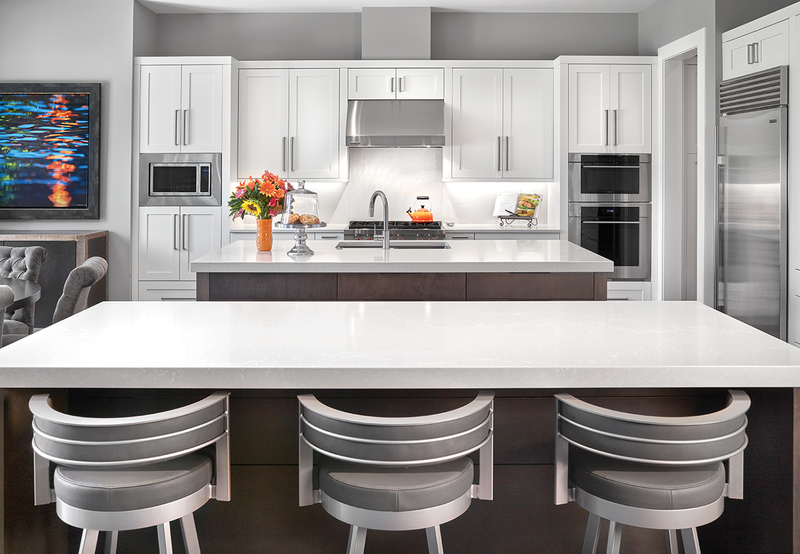 For our food issue, we look at three wildly different, but equally beautiful kitchens. As the family chef and someone with a food science and business degree (who created and sold her own food company), Kirstin knew what she wanted, and that it wouldn’t be easy to do. So she enlisted the help of designer Mindy Gudzinski. In addition to knowing Kirstin’s meals well, Gudzinski says the kitchen is all about connection — to people, food and, through the new massive windows, the beautiful backyard. “It all starts in the kitchen,” Gudzinski says. 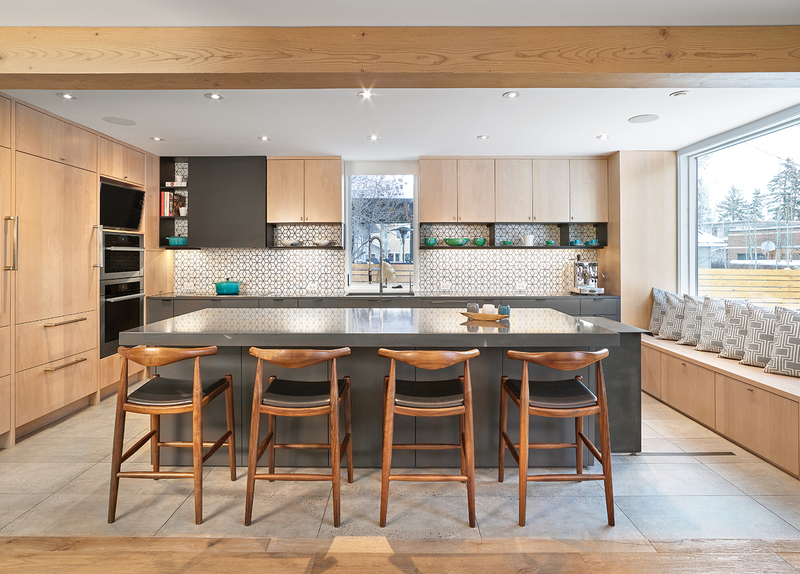 The coolest part is the island’s steel, custom pullout table, which has so far served as extra prep space, a colouring book station, a bar and even a divider to keep the kitchen clear of impatient party guests who want a quick taste before dinner. 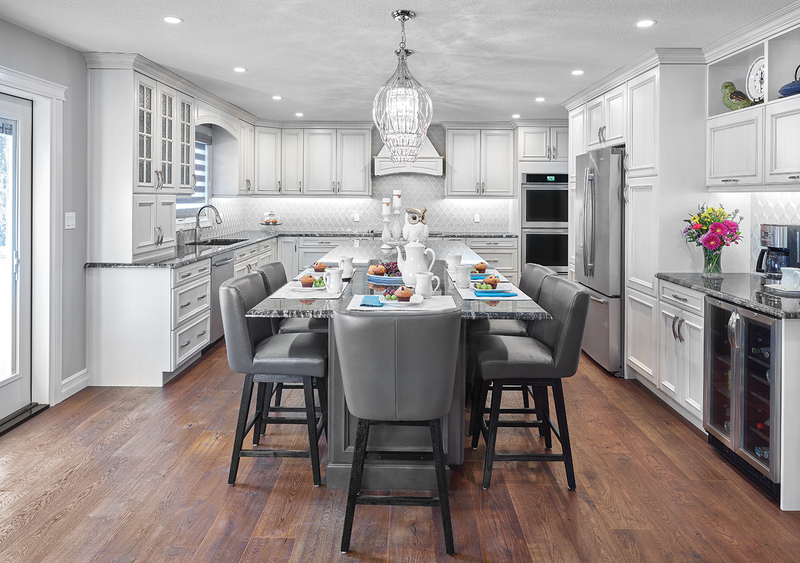 The massive island makes the most of the extra area, serving as a prep space and kitchen table, with plenty of room for guests to snack and mingle while waiting for the big meal. And the stunning, light-up granite mini bars on both sides of the TV bookend the joining living room, making it more like the kitchen’s seating area than a separate space.